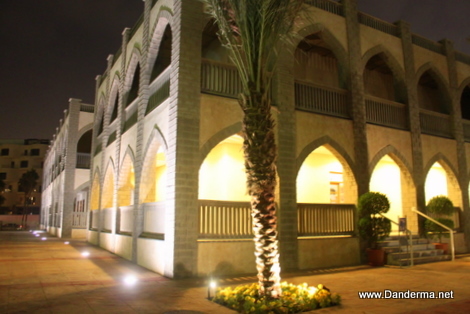 To continue my post regarding what should a tourist in Kuwait do and visit when they arrive, this post is about what I think is the most popular places of interest in Kuwait. 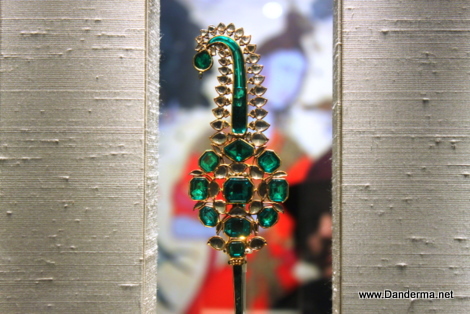 Not shopping –previous post– and not restaurants and where to eat -upcoming post-. 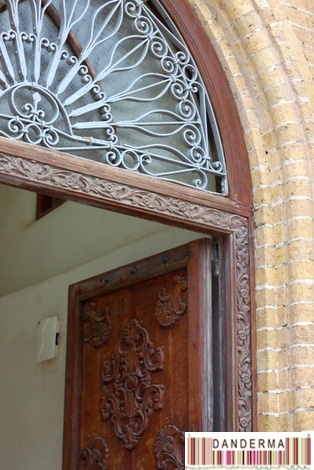 Old traditional Kuwaiti boxes like the one above come in a variety of sizes and designs. I realized recently that I have a few of this box too many. I wonder what am supposed to hide inside them though. 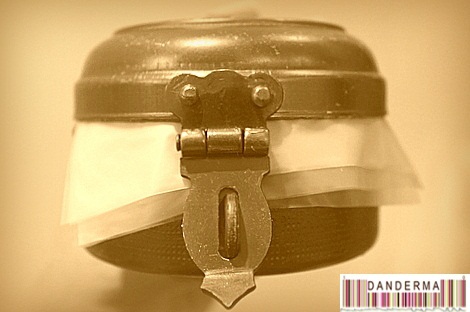 Then it got me wondering: what did Kuwaitis use them for in the olden days? Cooking? The one with the latch doesn’t look like a cooking type of box. 4 comments • Architucture • Blast from the Past • Confused • History • Life • Memories • My Photography • Q8 • Reviews • Society • Things i'm waiting for! 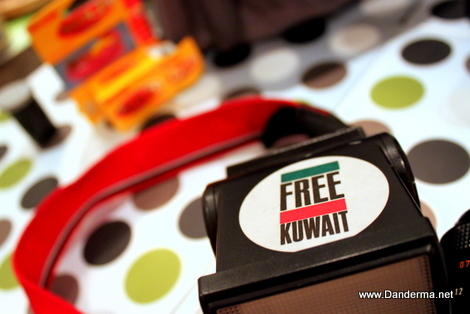 Kuwait is free, was free, and will be free insha2 Allah until the end of days. Thank god 3la ne3mat el amn wel aman wel 7oryah. We will never forget this date, not 21 years later and not a 100 years later. Ever. 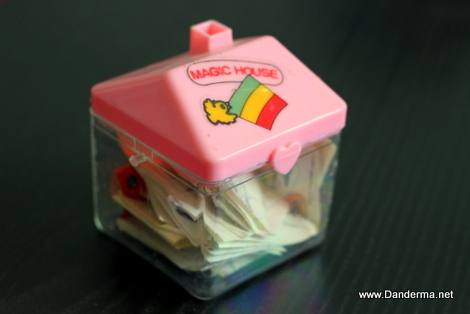 I was going through a box of my old toys when I saw the house shape plastic box above. I held it gingerly in my hands and smiled fondly, remembering the hundreds of similar boxes we used to buy back when we were children from any ma67ana. I think I must have bought one on weekly basis! Guess who performed in Kuwait in 1977? 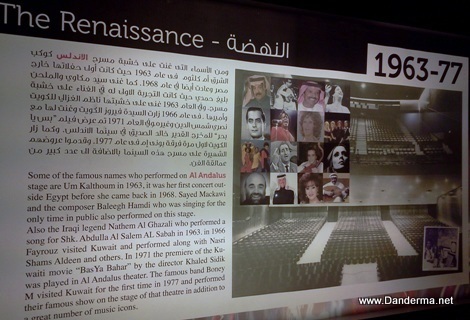 Yesterday I was in 360 Cinescape when I saw an exhibition of the Cinema’s History and artifacts in Kuwait. 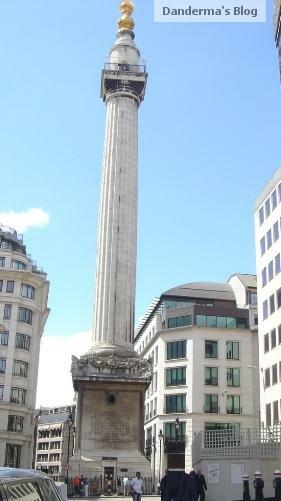 It is so worth a visit and I enjoyed it very much. 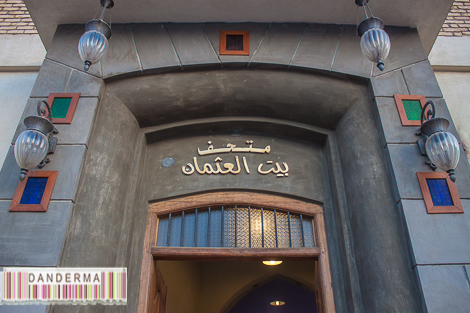 What caught my attention however is the stars who once sang in cinema Al Andalus. 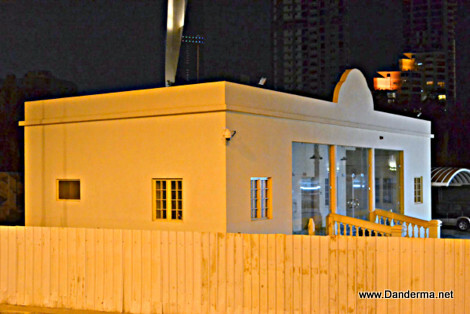 I knew Abdul halim, fairuz,om Kalthom sang there in the golden ages of Kuwait. I didn’t know that bands like Boney M did too! O someone who looks like the Opera’s Pavarotti but I am not sure and that guy who screams in Rocky Movie and sings living in America -dunno his name-! I am trying to imagine Kuwaiti men i the 70’s, big hair or long hair with Charleston trousers filing in to Al Andalus cinema and dancing to Daddy Cool and No Woman No Cry! What happened? Why do we have to board a plane to Dubai and Abu Dhabi to listen to good music? In the SIXTIES and SEVENTIES of the past CENTURY we had bands playing in our country… why can’t we have the same in the 2nd decade of the 21st century? He who wants to listen can go listen, he who doesn’t want to can stay at home. Live and let live! I want to see Ballet, Swan Lake, Lord of the Dance, Opera, Fairuz, something… anything in my own country. It’s not my fault I was born too late in the 80’s y3ni! Mino hal Dobb? El Mared El Bared? 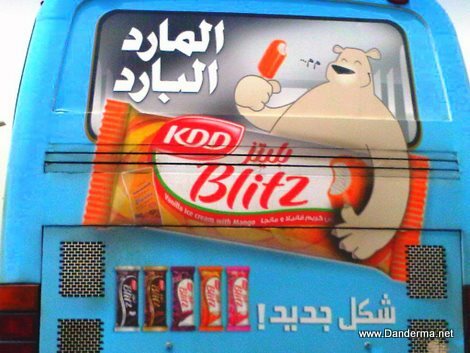 As I was driving into work today I saw this white huge bear eating KDD ice cream on the back of the bus. Who the hell is that? 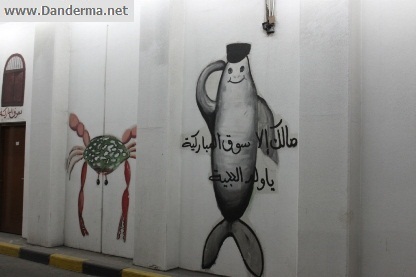 Is this the mascot KDD chose to replace el7ajji wel 7ajiya? We are supposed to identify with him y3ni now? You know because Kuwait is filled with white fat ice cream eating bears? Wallah b3d lo 7a6ee brai39i, namla, 3abbowa momking. Lakin this Bear? Damah theqeel o maleeq. Mo 3ajbne. Too generic and so unoriginal. Meh. No for Blitz Ice Cream, Bring back the old names KDD! I’ve been a fan of your products for over 30 years now. I grew up drinking KDD Chocolate milk. I memorized the word Columbia as a child even before i spoke English. I was familiar with the names Failaka and Burgan before i knew what they meant and as a result my eyes lit up in recognition in elementry school when we were taught that Filaka was a Kuwaiti island and Burgan was the largest oil field in Kuwait. All thanks to your ice creams. But a few days back my eyes fell on the poster above and the first response out of me was NO! I am not sure if you had customer feedback before embarking on the new campaign but frankly you should have had. Changing the design from the cute patriotic little girl and boy we grew up with to a modern design was one blow. 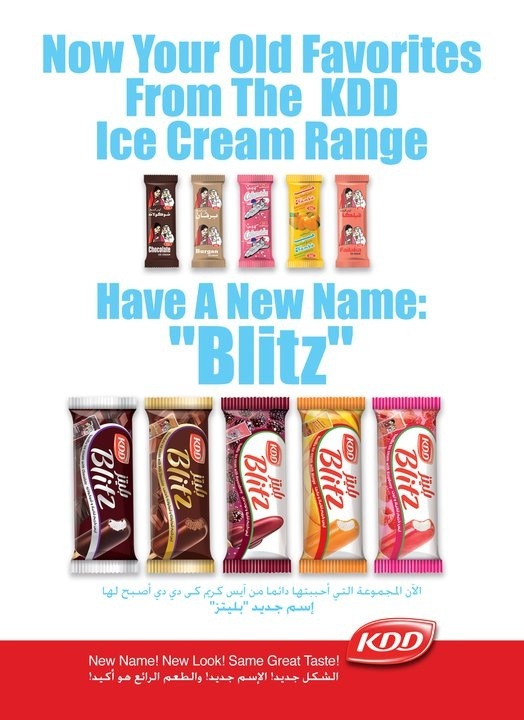 Changing all the names of the ice creams and giving them one name that was Blitz was another blow! 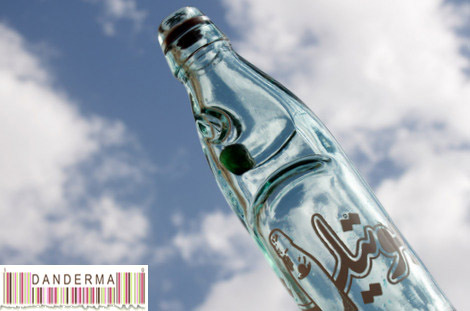 Why would you melt the patriotic identity of a product much beloved by almost all of the Kuwaiti population? Why would you choose a name “Blitz” that is not even pronounceable in the Kuwaiti dialect. I cannot pronounce it even though I can speak English. It is a heavy name and not that appetizing. Do you think people would stop asking for Burgan and Failaka now and start using the word Ebletz? Do you really think when i take my future children to the Co-Op i would point at the ice creams of my childhood and tell them to choose what ebletz flavour they would love instead of Burgan, my favourite, or Columbia, their grandfather’s favourite? If they asked me what the name Ebltez mean, what would I answer with? Frankly, I do not know! Please KDD, please consider giving our beloved ice creams their own names back. We understand the need to update the look, give the girl and boy a more modern look or like you changed the old checkered design of the ice cream covers into the one unified colored ones. Blitz is suffocating me and many other Kuwaitis and residents of Kuwait. I have yet to find one person who thought the new design and name is a good idea. They say if it ain’t broken, do not fix it. But what you did basically was like taking a beloved Kuwaiti item and cremating it. I really wish that you would reconsider the request above. I am also sad to inform you that until you do so, I am going to stop buying the blitz range of products simply because they make me ache from the inside. It is like losing a part of my life I am familiar with. Yes, that dramatic. 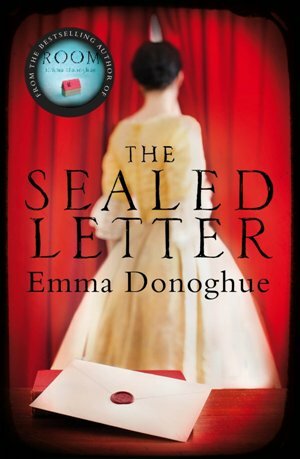 Dear readers, what do you think? Leave your comment here or post your opinion on your blog. Let our voice be heard! I like days like today, where the entire world stops to a halt and join in to watch something together. 2 billion human beings were glued to their TV today. 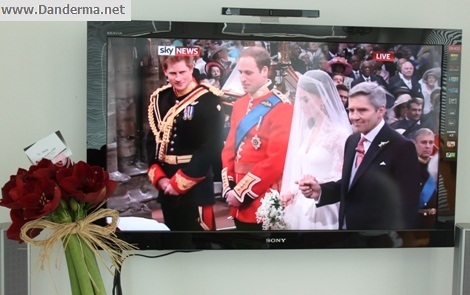 Now that the hoopla is over and every one is changing their channels, I am writing this post so when the child of Prince William & Catherine is married, and god granted us long life and health by then Insha2 Allah, I would be able to come back and remember what went on today. We ate cupcakes, drank coffee I brought from the UK, tweeted, Ma 3jbtne Catherine wala omha wala ekhet.ha wala bedalhom wala elbridal boquet malha. Diana was way more beautiful and much more elegant on her wedding. Bs el 3ebra mo in beauty of how the wedding went. May Catherine’s luck be much better than Diana’s was. Did you watch the wedding? What did you do and what do you think? 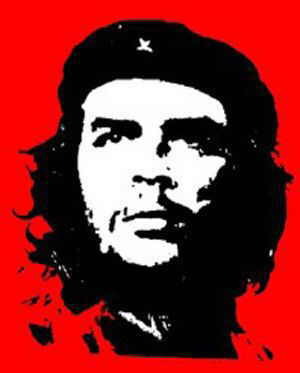 Explain this to me: Why Che Guevara Picture?! I don’t know much about Che Guevara. All i know about him is that he was a Argentinian Marxist Revolutionary & Rebel who was involved in a lot of political things including the Cuban revolution and was executed at age 39 in 1967… y3ni senat deqyanoos. What i do not understand though is why on earth am i seeing the painting above of Che Guevara more and more everyday? on Cars, Avatar, Email Signatures, Shirts, Facebook, Twitter, Etc. Etc. ?! I don’t think all these sporting Che Guevara’s picture are doing it out of their sheer admiration of Che Guevara or know how to spell his name to start with… so why?! Shel salfa? Why do i keep seeing a picture of a man that died 44 years ago?! Esh3endokom?! 18 comments • History • Thing that annoy me! I love this smeecha painting in the parking lot of Mbarkiya… and i love having a stroll there in early weekend mornings… the smells, the history, the little shops, the quirky merchandise, the old people… it’s amazing! 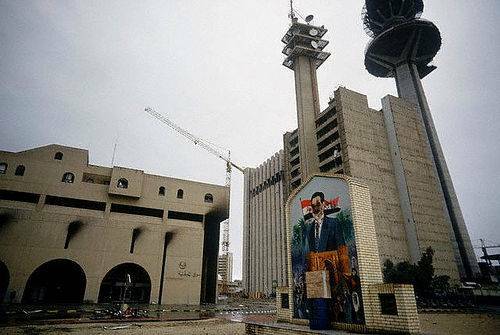 I am still afraid of the Iraqi Mines… 20 years on! 21 years ago on June 1990 we left Kuwait for our summer vacation in Austria and UK. Planning to return to Kuwait on 2 August 1990. Congratulations to the Egyptian people! 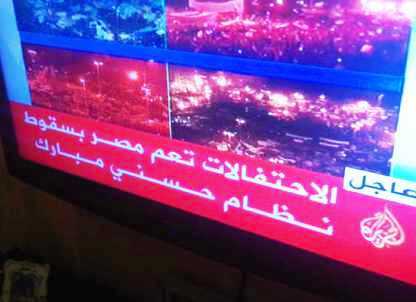 Today is a historical day when the will of the egyptian people conquered all and will change their destiny! Watching them celebrating in sheer joy warms my heart for tonight they will be the happiest or earth! 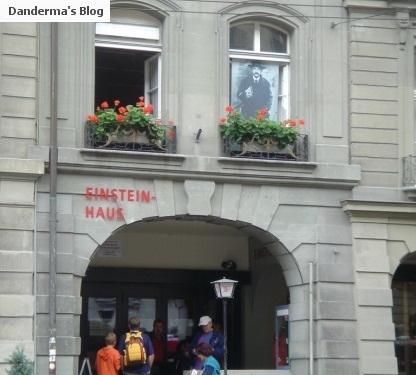 I was browsing through my old pictures yesterday thinking of making them into an album when i found pictures of my trip to Bern, Switzerland… What interested me most is the pictures of my visit to Einstien’s House in Bern! 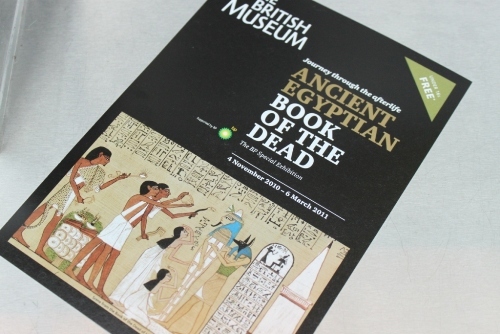 Things to do in London: British Museum's Book of the Dead Exhibition! 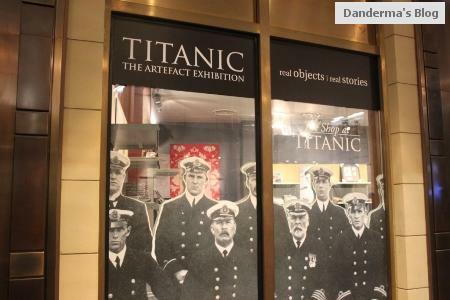 Things 2 Do in London: The Tintanic Artefact Exhibition! 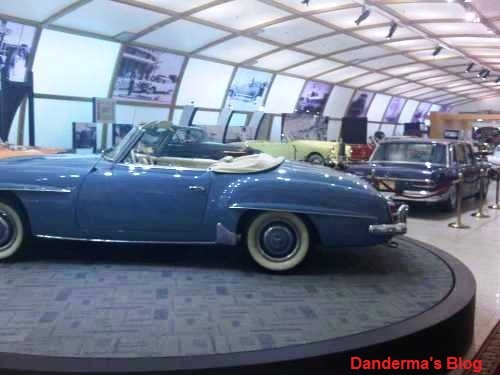 La y6oofkom: The Historical, Vintage, Classic and Cars Museum in Q8! What are you doing this weekend? Nothing new? Same old same old? I have got just the place for you!